Take a Walk at the Park. It’s Gorgeous. Remember: Magazine Beach Cleanup, tomorrow, Saturday, November 7, 9am-12noon. Meet at the parking crescent at the foot of Magazine Street. 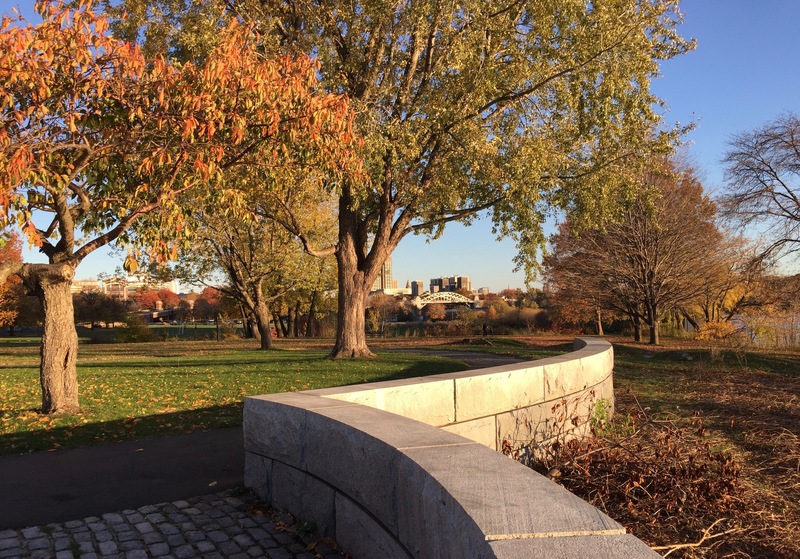 The Charles River Conservancy will provide work gloves and tools. The CNA will provide hot brownies! Also, Powder Magazine Open House, tomorrow, Saturday, November 7, 12noon-2pm. Go inside the Magazine and learn about DCR’s quest to find the right tenant. The longterm lessee will convert the structure to its next use, manage the space, and in so doing, reactivate the park. For more information about DCR’s Historic Curatorship Program, see our October 26th post. Note: DCR will be completing the stabilization of the exterior of the structure next spring. The lessee will be responsible for updates to the interior.